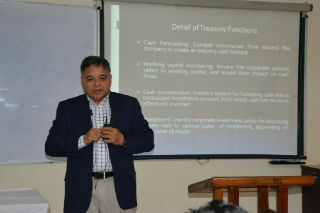 Guest Lecture on “Functioning, Challenges & Career Opportunities in Treasury” for PGDM-IB ( 2015-17) students on 16th March 2016. 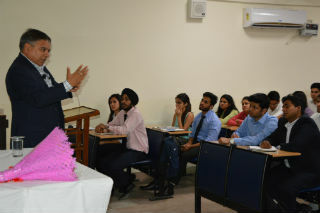 The session was conducted by Mr Kailash Chandra Giri (Ex- CEO & Managing Director-Imperial Bank, Uganda). He discussed about various functions of Treasury which is very crucial area for any corporate .He also mentioned about the challenges which a treasurer has to face in his day to day work. 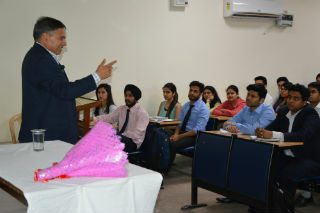 At the end, the message was “Treasury is a very challenging but rewarding profession for which a student must try”. 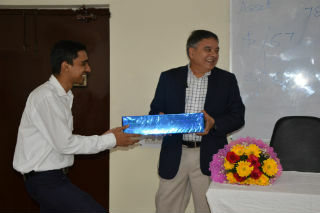 The session was organised by the IB Department of JIMS and was well appreciated by the students.